You can schedule an appointment Junk King Seattle online or on the phone. No matter how you set up the appointment, most junk removal sessions are completed within 24 hours. It works better for the weekend, then that is when the crew will come by. 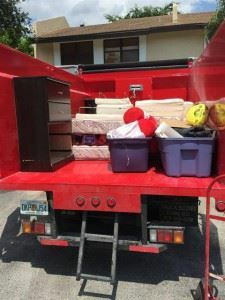 It may take you several years to accumulate all the clutter in your home but it will only take the crew from Junk King a few minutes to get rid of it all. You’ll wonder why it took you so long to call! Because of state regulations, there are some materials that can be transported by Junk King. Those include things like paint, solvents and other hazardous chemicals. But the crew will happily tell you the best approach to disposing of those things. Junk King Seattle makes every customer a priority. When you’re ready to get rid of your unwanted rubbish there really is only one call to make: Junk King Seattle. This entry was posted in Seattle Junk Removal and tagged customers, Junk King, junk removal, reviews on September 30, 2017 by Junk King. Last updated October 1, 2017 .